Good morning and welcome to February! Silver Empire is excited to announce that on the first day of every month we’re going to host a hashtag called #FirstDayFirstPage. In it all kinds of authors (not just ours!) will be posting the first page of their novels for readers to check out. It’s a great way to find a new book to read for the weekend! We’ll be hosting it on Twitter, Facebook, and Instagram. We will also pick the highlights of this event to post on this blog, and create twitter moments as well so you can find all the great first pages out there. In Vigil, modern day paladin Peter Bishop has to kill the dragon and save the girl before dawn in this Big Trouble in Little China meets Jim Butcher urban fantasy adventure. There’s a DRAGON in the church! It is available at Amazon, and is free for subscribers of Kindle Unlimited. 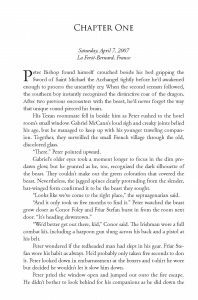 This entry was posted in firstdayfirstpage, News and tagged firstdayfirstpage, kindle unlimited, peter bishop, urban fantasy, vigil.